I can no longer count the number of times that I have posted in this blog that my favorite course in an entire meal would be the dessert. The confectionery course has always been my main course! When I was in Bangkok with my mom and sisters, we of course got to try Thai dishes. I have always revered how uniquely sensual and remarkably palatable Thai dishes are. But still, it is a simple dessert among all the striking Thai dishes that really makes my modest and artless taste buds happy. I love Khaoniao Mamuang. Don’t be fooled by how the words were spelled and how should it be read. The best Thai dessert for me is simply known as Mango Sticky Rice! I adore this dessert for it is uncomplicated, simple and straightforward! No lavish implements are needed for its presentation; no rare, pricey and uncommon ingredient is need; no knotty and confusing procedures are required for its preparation; and, no intricate and confusing way of eating and enjoying it. Yet the taste is so heavenly! It was my fifth time in Bangkok about a week ago. I may have failed to revisit some the beautiful and spectacular tourist spots of the city, but I never failed to eat, savor and enjoy the divine and blissful Khaoniao Mamuang! I was not longing for Ruby Roman Grapes, the most expensive grapes in the world. I was never looking for Ackee, one of the rarest fruits on the planet. And not once did I crave for Cherimoya which according to Mark Twain is the most delicious fruit known to men. I was only yearning to try a Miracle Berry and experience for myself the magic and oddity it does to my taste buds. And this yearning has finally been resolved when Chef Clark Soliman, a co-employee, learned about my hankering. He’s got a Miracle Berry plant in his backyard in Pampanga. Chef Clark when he visited my office actually gave me a handful of this amazing berry. I right away tested it. I ordered the nearest restaurant from my office to deliver me a chopped calamansi (a very sour citrus fruit abundant here in the Philippines). 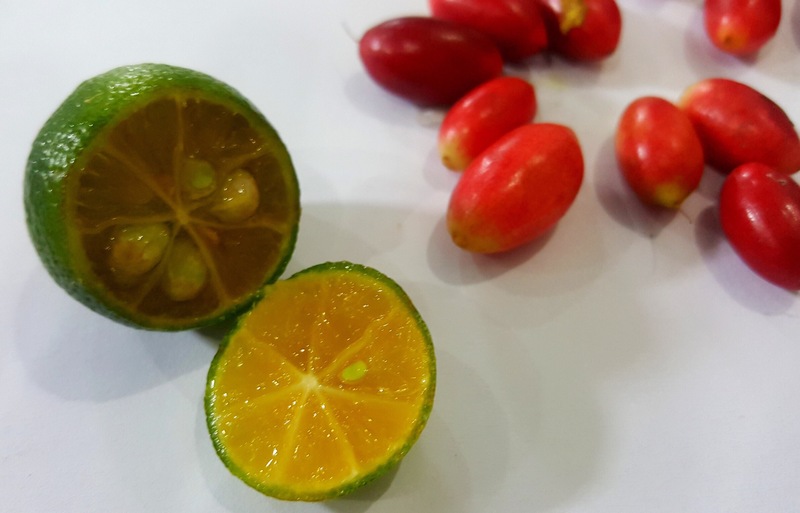 I munched into the miracle berry as soon as my chopped calamansi has been delivered. And after a couple of minutes, I was supping, lapping and sucking on what supposed to be the sourest citrus fruit on the planet. But my discernment was different, my taste buds were telling me that I was supping on the sweetest and most delicious honey orange in the universe! 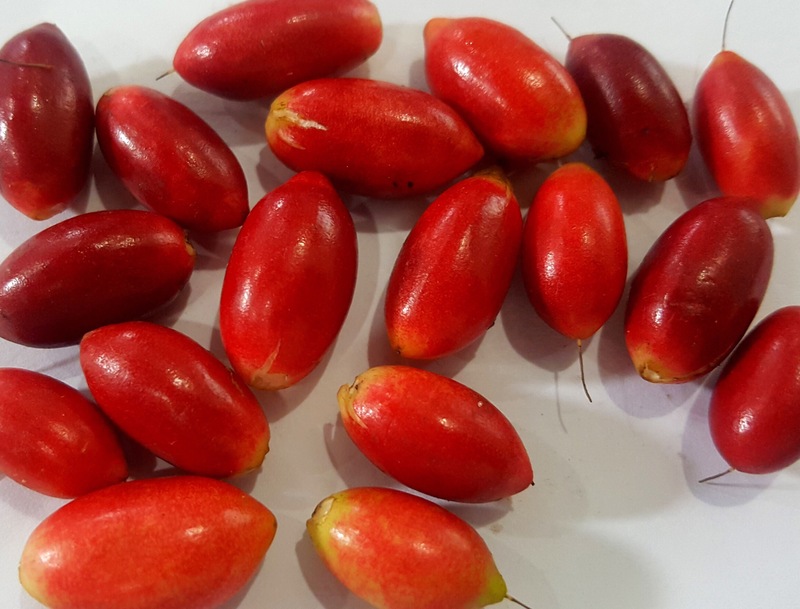 Miracle Berry indeed tricked and deceived my precious taste buds! I never knew that my brain could further be twisted by such a mere fruit. It’s fun! Find one and be twisted by the effect of Miracle Berry. Abundantly lined-up are red plastic bags hanging on the branches of massive trees at the edge of a long stretch of highway in Tarlac contains a local fruit. My family on our way to Manaoag Pangasinan last Saturday noticed and initially wondered what those red plastic bags contains. Until one of us realized that it contains Camachile being sold by the local folks right under the shade of the trees. I haven’t tasted Camachile so I told my siblings inside the vehicle that I wanted to buy and savor its taste. But when I told them this, we already passed Tarlac and no vendor is in sight. 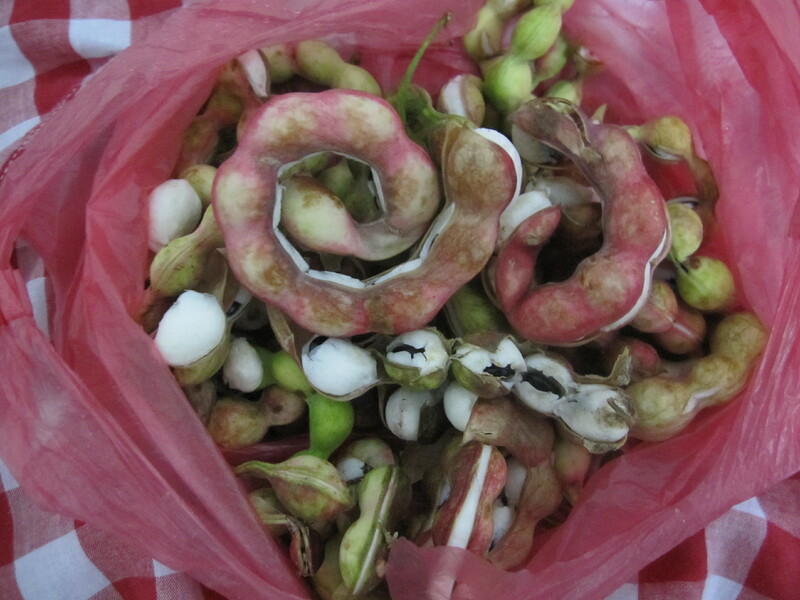 Nengkoy however explained that it is okay since Camachile is actually not a tasty fruit variant. She added that I will not actually like it. But on our way back to Manila the following day, I insisted on buying and hopefully enjoy the taste of the fruit for the first time which is considered rare for a city dweller like me. My brother-in-law considerately stopped the vehicle when we were along the highway stretch of Moncada Tarlac to purchase two full plastic bags. Each bag cost twenty-five pesos. I gave Kuya Bogis (my brother seated at the front seat of the car) sixty pesos to hand over to the lady vendor for two bags of Camachile and told him to tell the vendor to keep the change. Nengkoy gave me her usual indescribable stare to express her disgust on why she was not given the chance to practice her price-haggling-skills. When we continued our journey back to Manila she told everyone inside the vehicle that price haggling is supposed to be done to lower down the price of the item being purchased and not to swell it higher which I, according to her, unacceptably just did. Nengkoy of course is just being her usual self! That was the moment that I told everyone that I won’t give them even a little piece in case I liked it. When I excitedly opened one bag of Camachile, I was surprised to find that all of the fruit’s skin crusts were cracked open. In full shock I shouted and asked them that this may no longer be edible since the fruit’s edible meat has been exposed! Everyone laughed because of my stupidity and explained that the crusts are expected to be naturally open to signify that the meat is already ripe and could already be devoured. With full gentleness, I picked one fruit and took off the seed beneath the white meat. I chose the one whose skin crust has turned red expecting it to be sweet. But when I placed it in my mouth and chewed it, the only words that came out of my mouth was, “Ay! Lasang papel!! !” (It tasted like paper!). Nengkoy and the rest of the pack broke a big laugh. Nengkoy then told me “I told you so…” and practically started her usual litany by saying that sixty pesos could have purchased a kilo of sweet ripe mangoes in Villasis Pangasinan and that I was such a bull headed monster for not listening to her. With my insistence I again tried another Camachille expecting a sweeter version but to no avail. That was the moment I offered everyone inside the car to have Camachile as their snack while we headed back to Manila. Some took a little piece, tasted it and by no means asked for another one. Siguro kapag ginawang ays krim pleybor, masarap na!